Thousands of pieces of Greek antiquities are hosted in the British Museum. Our campaign does not ask for the return of those. 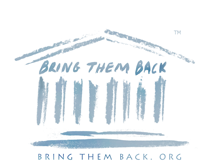 We ask for the return of the Parthenon Marbles in Greece and the Reunification of the Monument. We, the users of the Internet obtain power and we are able to mobilize the international public opinion. Our goal can be achieved this way. Do you believe this is fair? If yes, help this goal come true.